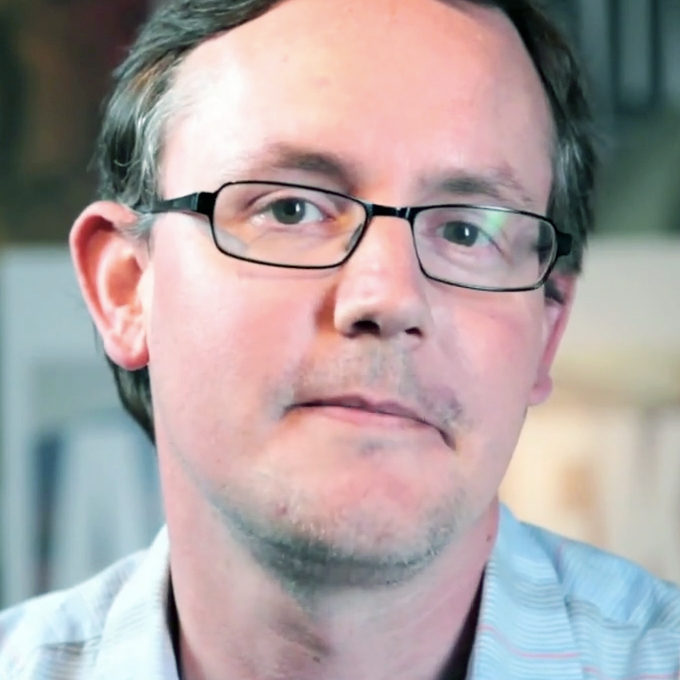 Little David Lubars and Andrew Robertson reflect on BBDO's solid year. We continue today with more agency holiday cards, the ad industry’s fun farewell gifts to 2017. Below, check out the latest additions to our list. We’re getting more latecomers than we expected, too, so we’ll try to do one more roundup on Friday morning—before picking our five favorites of the year. 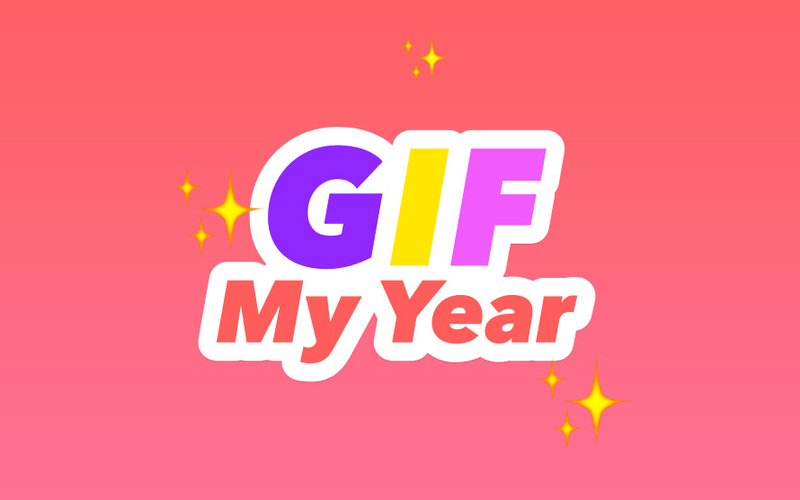 With “GIF My Year,” people answer five madlibs-style questions with emojis to get a magical mix up of GIFs (powered by Giphy’s API) to tell their story. It was created in partnership with TRASH, the first artists/technologists to participate in Barbarian’s new “Stranger in Residence” program—an initiative to invite experimental thinkers and creators into Barbarian to riff on the work they do and collaborate with the Barbarian team. 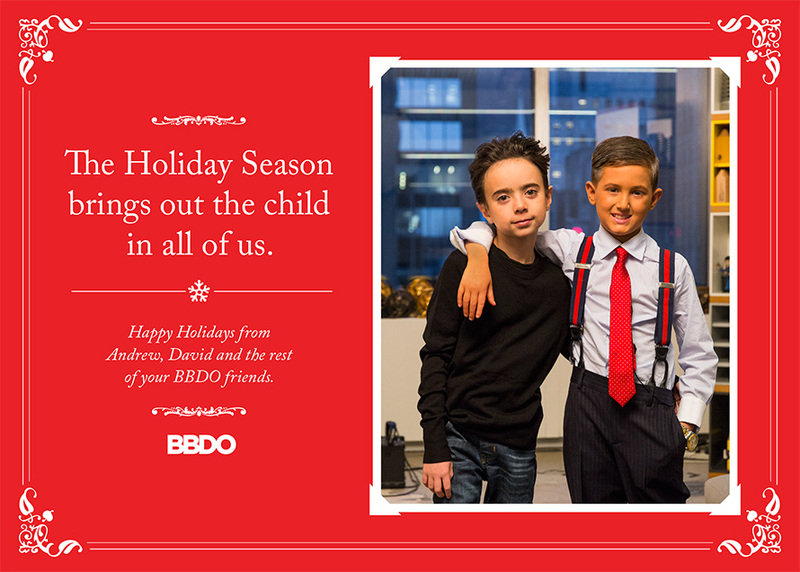 Where Publicis went older, BBDO goes younger with its holiday message to employee, as pint-size Andrew Robertson and David Lubars reflect on the network’s strong year. 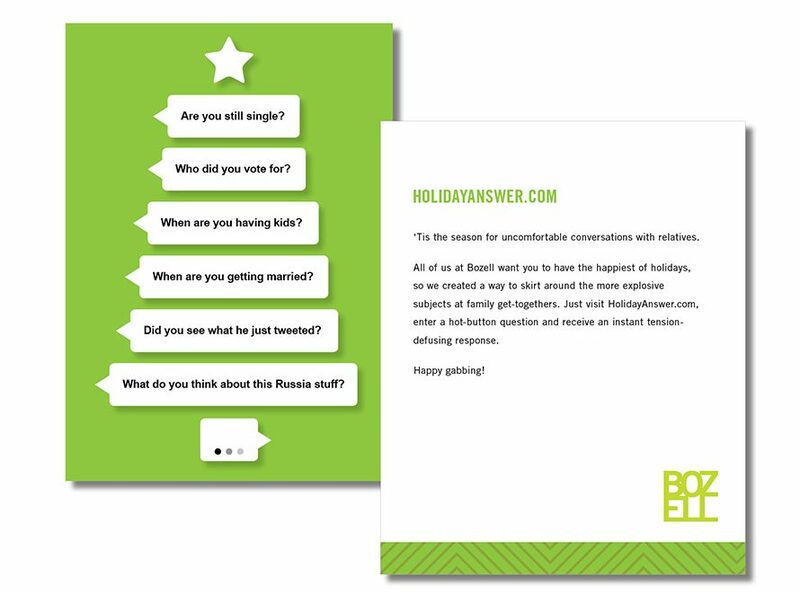 This year’s Bozee card is a take-off of last year’s holiday conversation starter kit, which included 40 handy, pocket-sized conversation starters for awkward holiday situations. This year, the answers to awkward questions are available right on your phone, tablet or laptop with “Holiday Answer.” Bozell says it’s already seeing hundreds of visitors to the site, and the average time spend is eight minutes. You can also share your responses on Facebook or Twitter. There are no bad ideas in a brainstorm, right? Well, not so fast. This agency reminds us of the simpler pleasures of the season—whether it’s an inflatable Santa or boxed wine. See more “Heroes of the Holidays” videos on their YouTube page. Not one likes a bad gift. H&L Partners came up with “One to Give On,” a series of snarky PSAs spoofing the classic “The More You Know” PSAs. Each one is delivered by agency employees hoping to make a difference this holiday season—when it comes to gifting, at least. This ad agency focuses on energy and sustainability. So, it only made sense to create a holiday card powered by the wind. 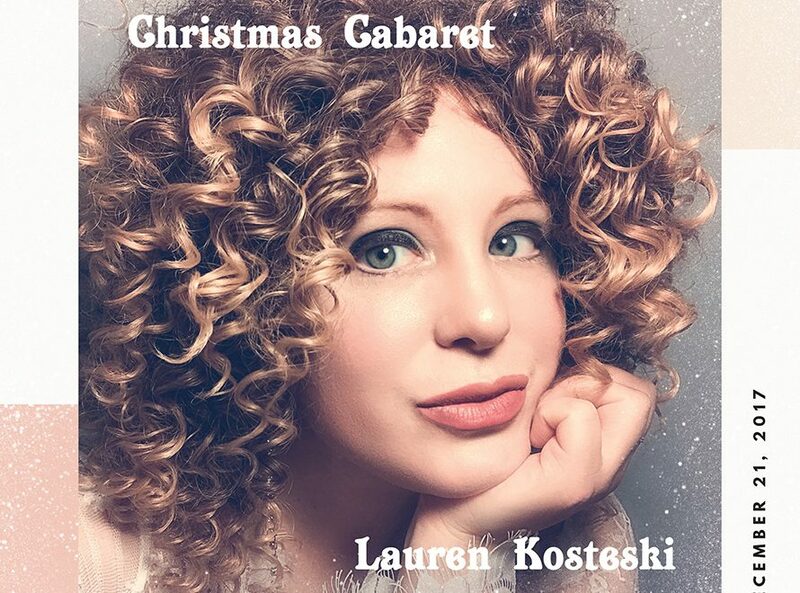 “I dealt with 2017 by singing loudly into a karaoke iPhone app and buying new wigs.” So says Lauren Kosteski, a freelance strategy consultant, who sent a link to her “Christmas Cabaret” EP to friends and clients. Check it out on Soundcloud. It’s good!